When will Athena be released and where can consumers purchase the product? We currently have prototype versions of our hardware and software in user testing. Our goal is to have a production version of the Athena product line ready by Spring 2016. At that time the device will sell for $99. But Athena will be available for pre-order through Indiegogo beginning on October 20th with early bird rates starting at $60. You can visit our site to connect to the campaign. Are there any other products in the works? The Athena line of jewelry is just our first product. We plan to introduce additional designs and styles to appeal to different lifestyles. Also, as technology evolves, more things can be done in even smaller space. For example, embedding the technology directly into clothing, footwear, phone cases, and so forth enables even greater flexibility. As a company, we have this one metric that we use to measure success: the number of lives we touch. Thus, we will continue developing solutions to reduce assaults and ideally begin to transform society. Sexual assault is a growing issue on college campuses. How can your product help address this or move toward helping to prevent it? Every one of us knows someone -- or is someone -- who has been a victim of assault. The stats are horrible. We developed Athena as a way to help. Here’s how it works: the module has a button on it that can be pressed whenever the wearer feels threatened. That one action causes the device to emit a loud alarm and sends text messages to friends & family with the wearer’s location. In addition, we are working on engineering a solution to automatically call 911 for immediate help. We also built the device to include a silent mode for situations where the wearer does not want the attacker to know that the device has been triggered (e.g. domestic violence). To borrow from Steve Jobs, we want to make a dent in the universe of women’s safety -- and nothing would bring us more joy than to obviate the need for devices like Athena. What else do you think should be done to help prevent sexual assault? We refer to these issues of sexual assaults, harassment, and inequality as “women’s issues.” These aren’t women’s issues. They are societal issues, and as a society we need to step up and do more to address them. For example, we need more male allies to step up, let their voices be heard, and lead by example. We also need to do more around bystander training and empowerment. Most importantly, we need more education and collaborative discussion around empathy, respect, and healthy relationships. 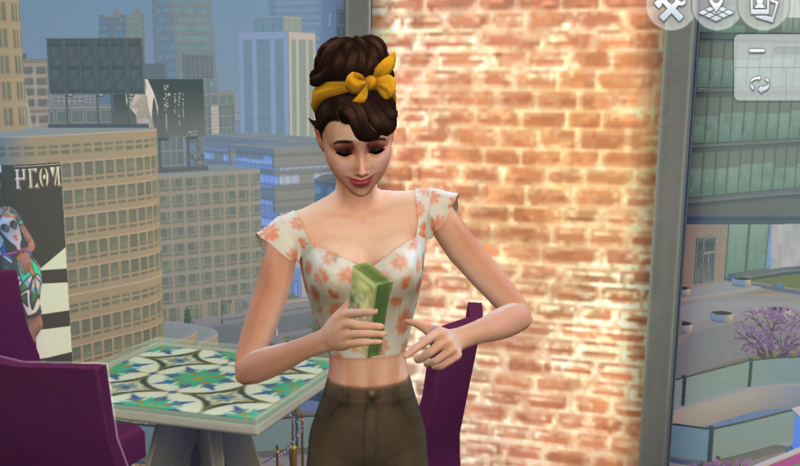 Did you always envision yourself becoming an entrepreneur? I started my career designing supercomputers for Unisys. My career there was truly blessed, and I had an opportunity to work with amazing people and build some really cool products -- including one that was entered into the Guinness Book of World Records for hosting the largest number of concurrent gamers at the Dreamhack gaming conference. I was given a chance to build a startup inside of Unisys around Open Source software and services, and we hit the market at the perfect time and grew that business rapidly. From there, I was bitten by the entrepreneurial bug and subsequently built a healthcare startup and then began personally investing in several startups in the Philadelphia region. My passion now is helping build companies -- particularly those that are focused on changing the world. And I also love helping people excel in their careers -- for which I write on quite a bit at Anthony’s Desk. I was honored to deliver the commencement address for Penn State’s graduate school this past summer helping prepare graduates for their professional careers -- ideally some as entrepreneurs. What are some lessons you have learned on your entrepreneurial journey? Building startups is both a ton of fun and a lot of work. The exciting part is the opportunity to think big and develop ideas that can truly change the world. Of course, the days are very long and resources oftentimes scarce -- especially in the early days. 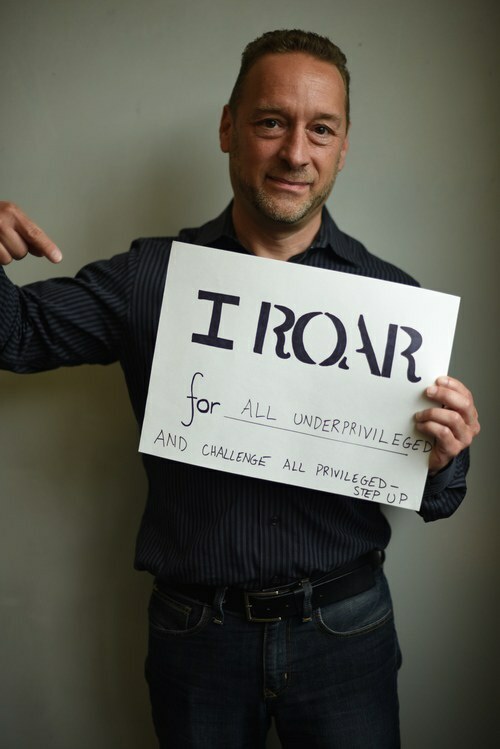 But working on mission-driven initiatives like ROAR is what continually keeps me going. •	There’s a right time and a wrong time to raise capital -- as well as the right types of people from whom to seek investment. Learning the subtleties has helped me immensely. •	Using aspects of Lean Startup, particularly leveraging MVPs (minimum viable products) to ensure early market acceptance is key to success. •	Learn how to pick yourself up when the going gets tough. There’s a saying in the business world: it’s lonely at the top. Whether you’re on top of a team of one or 100, there will be times when you are down and second guess yourself. Learning how to keep yourself -- and your team -- motivated and passionate around the goals will make a huge difference. •	Surround yourself with the best talent you can find, and don’t let bad apples stick around. There will be people you bring on board who aren’t a good fit. Take quick action to address, otherwise, you will regret it. •	Challenge yourself every day with questions like this: What else can/should I be doing to move this business forward? Are there critical aspects of the business I’m not focused on, and if so, what can I do to address them? What’s one thing I can do today to show appreciation for my team’s contributions and keep them excited about our mission? ROAR for Good recently raised over $150,000 from DreamIt Ventures. How did you pitch the product to investors and do you have any specific advice regarding startup fundraising? ROAR has actually raised just under a quarter-million dollars through multiple investors including DreamIt, Ben Franklin Technology Partners, Untours Foundation, and a few angel investors. The best investor pitches are ones where you leave the investor thinking: “I see the market potential and believe this team can make it happen.” The worst thing you can do in a pitch is “over-hype." Investors see right through that. Don’t ever say you’re going to get X percent of a market -- very few people will believe you unless you already have compelling market traction to suggest otherwise. Convince the investors that there is a major pain point (or unmet opportunity) that people are willing to pay for -- and that you have the team and idea that can capitalize on that. Ideally, if you already have an MVP with real market feedback, then you’re well on your way toward a great presentation. •	Money is not fungible. Be sure the people/organizations you raise money from totally buy into your team and your mission. •	Don’t complicate your cap table -- that can make subsequent raises much more complicated. •	With regard to personal equity, remember that a small percentage of a big number is much better than a large percentage of nothing. I’ve seen too many entrepreneurs who have missed out on good deals because they worried too much about dilution. •	If you think you need X to get to break even (or achieve the key milestones required for the next round), then raise at least 1.5 if not 2X. There will be far more uncertainty (and schedule slips) than you think. Any other advice for aspiring entrepreneurs, especially those interested in social impact? When it comes to social impact, the key is following your passion. The burning desire inside of you that wants (needs) to make a difference will keep you going through the difficult times. And that same passion is what will attract the right team to help you achieve your goals. Finally, build a personal advisory board of people who can help mentor and guide your career.